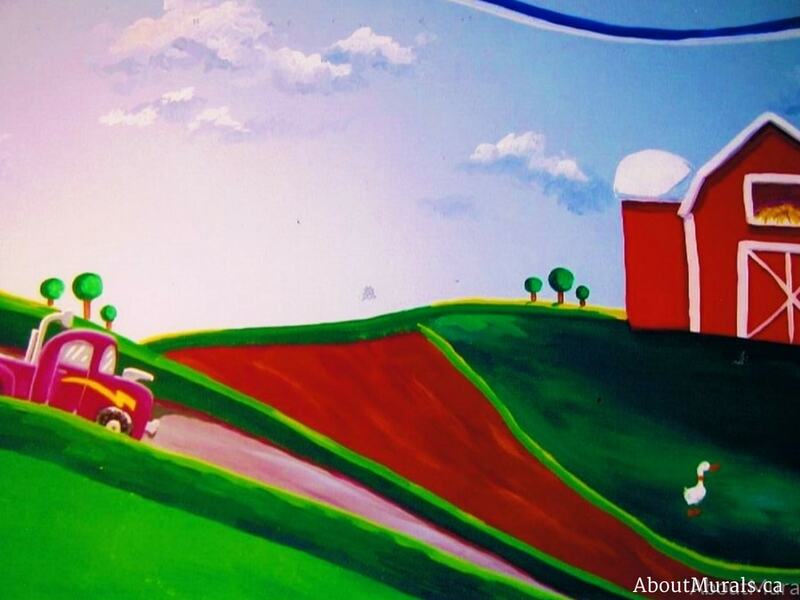 Although I painted this farm mural in Stoney Creek, Ontario, I also sell farm themed wallpaper murals that ship for FREE in Canada and the USA. They are super easy to hang and totally removable when you’re ready to redecorate! 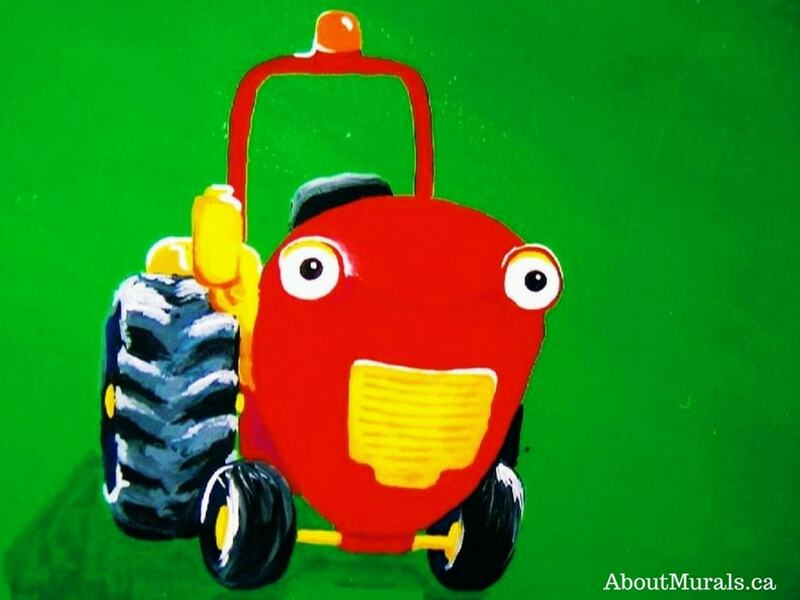 Thinking of adding a farm mural to your kids bedroom? Here are some pics of a mural I painted to give you some ideas for your own space. 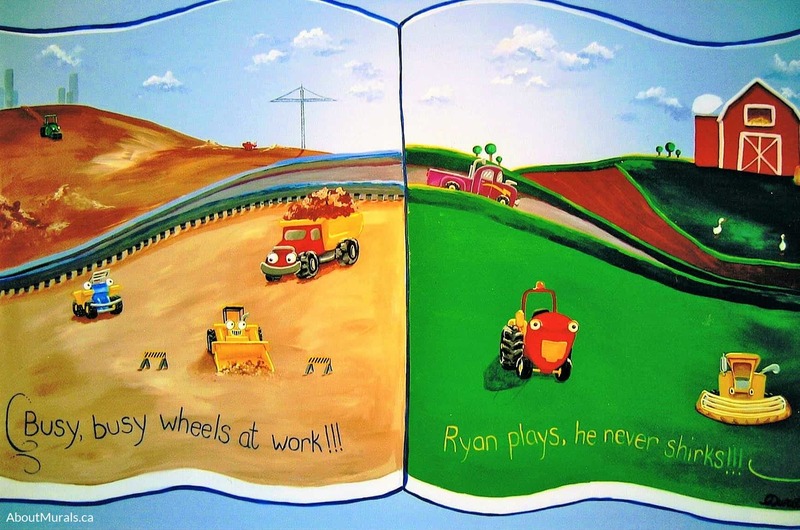 Toddler Ryan loves two things – farms and books. 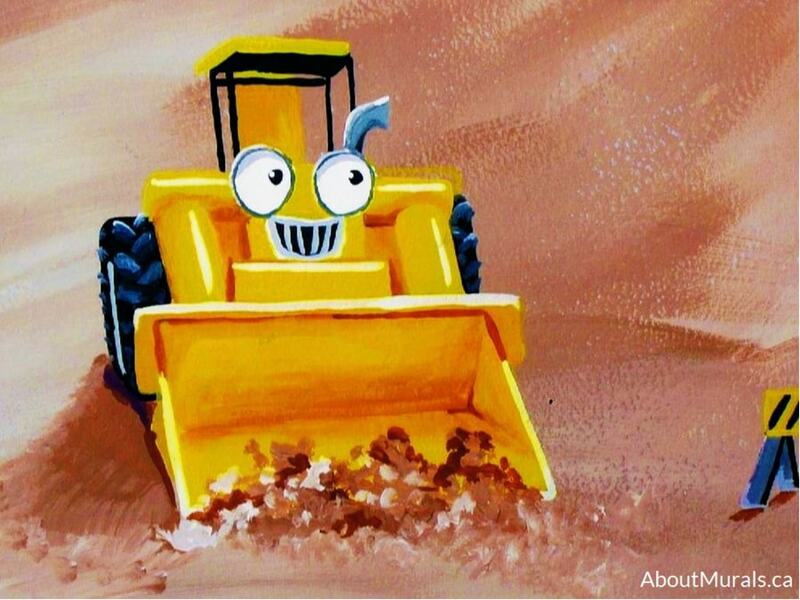 So when his parents, Vlasta and Jason, got in touch we designed a mural that combined both. 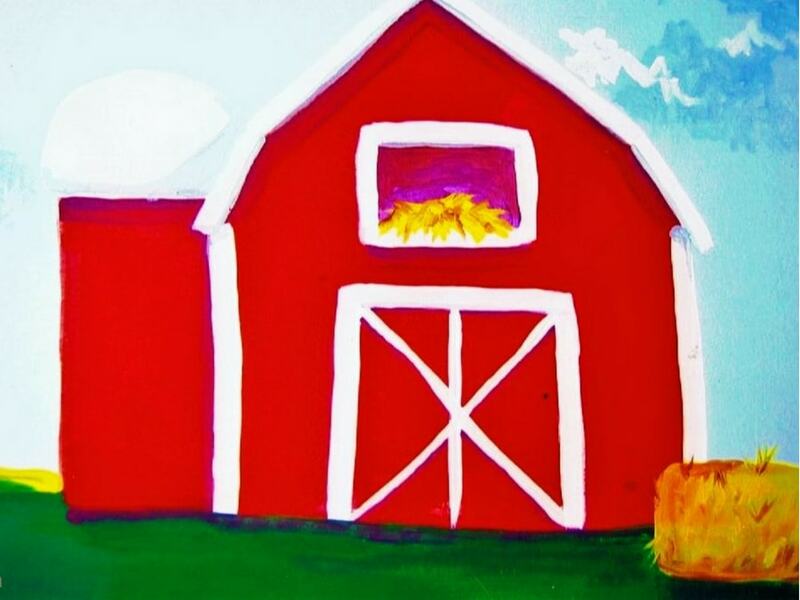 What farm mural would be complete without a red barn? 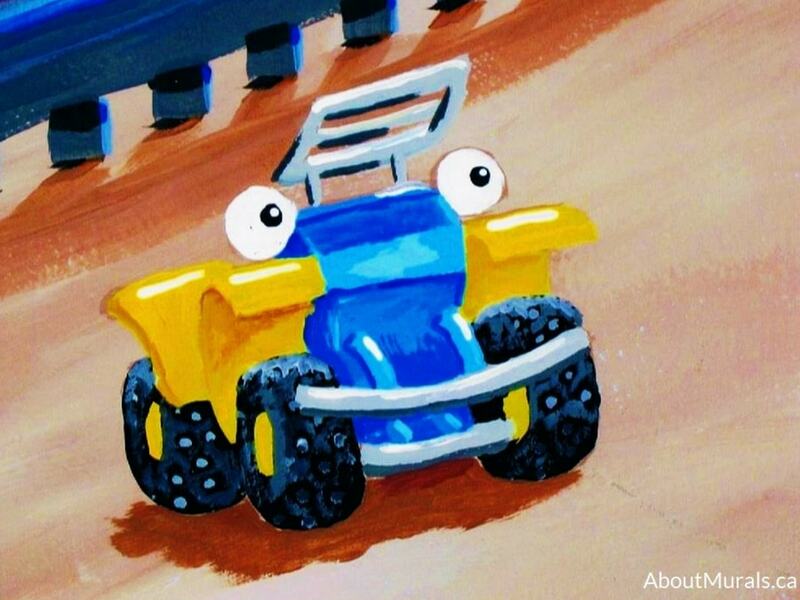 And here are all the characters I painted in this farm mural – Tractor Tom, the quad bike Buzz, the combine harvester Wheezy and the digger Scoop. 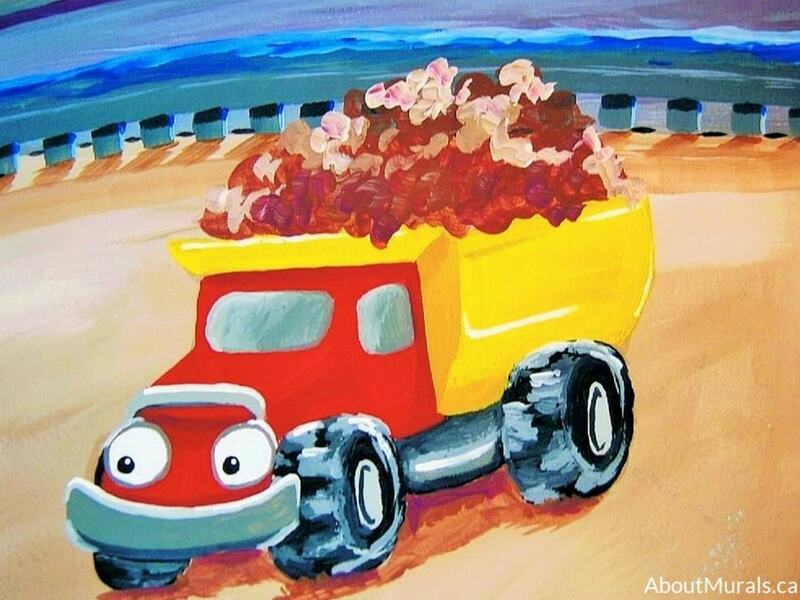 Thinking of a farm mural for your kids bedroom? Let’s work together! 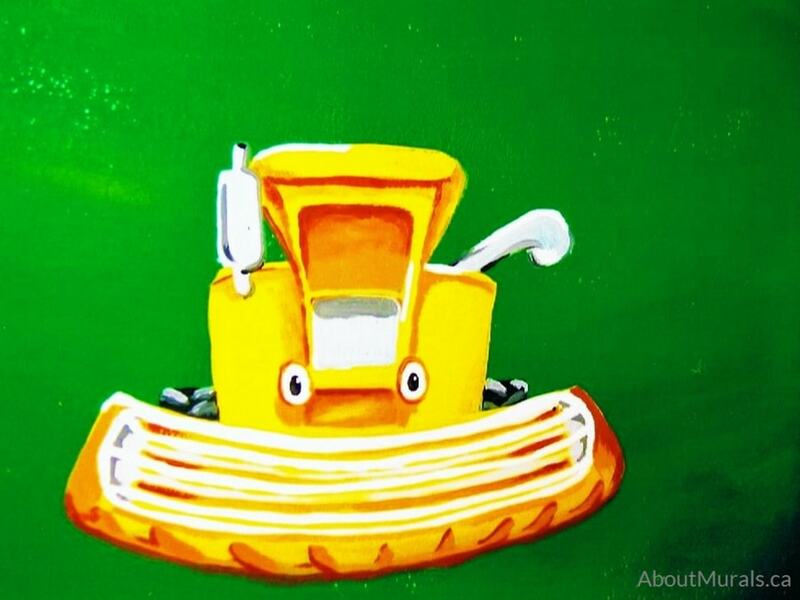 I’ve been painting kids murals, from Toronto to Niagara Falls, since 2005. I’ve even painted one for a Mike Holmes TV show! Or…Check Out My Farm Wallpaper Murals! Join my newsletter community and I’ll keep you posted on all the latest promotions and maybe even send a hot coupon code or two!